“Student Perks: It's More Than Coffee.” This slogan, used to promote a student-run enterprise known as Student Perks, rings true for those who instituted a work skills opportunity that began percolating four years ago in the St. Lucie Public Schools (SLPS) Exceptional Student Education (ESE) program. The original Student Perks location, run by Port St. Lucie High School students, is located at the Board of County Commissioners Administration Building located at 2300 Virginia Avenue in Fort Pierce, and is open to the public every Tuesday from 8:30 AM – 10:30 AM. Students have successfully sold coffee, pastries, fresh fruit, and signature brand tumblers in a kiosk on the first-floor breezeway for three years. They reap benefits of authentic experiences while their customers benefit from their valuable services. This year, the PSLHS students have been mentoring St. Lucie West Centennial High School students to prepare them for the opening of a second Student Perks location. After much preparation, the second Student Perks, located at Port St. Lucie City Hall Building A (First Floor) at 121 Port St. Lucie Blvd. in Port St. Lucie, opened on March 28, 2019. 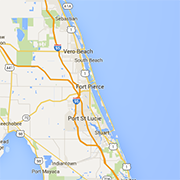 Student Perks in Port St. Lucie is now open to the public every Thursday from 8:30 AM – 10:00 AM. Students from PSLHS and SLWCHS are responsible for kiosk operations, and proceeds from the coffee shops offset Student Perks’ expenses. 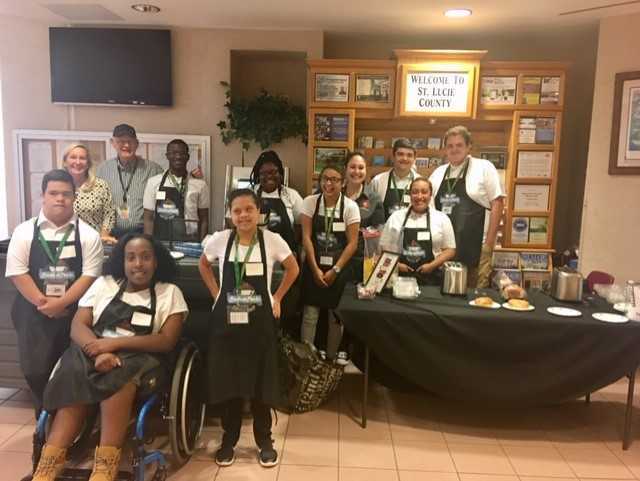 Students from Port St. Lucie High School and St. Lucie West Centennial High School team up to bring a student-run enterprise known as Student Perks to Port St. Lucie's City Hall.